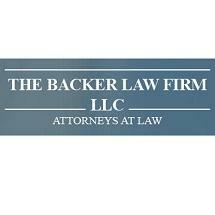 At The Backer Law Firm in Independence, Missouri, we are fully prepared to help you protect your rights and find the positive outcomes you seek for the serious and complex legal issues affecting your life, your livelihood and your future. Highly seasoned in mediation and arbitration, we can help you resolve your conflicts and find solutions for your legal challenges outside the courtroom when possible, thereby saving you time, money and stress. However, should your case need to go to court, you can trust that we will be right there beside you throughout all legal proceedings to assert your rights and help you obtain the favorable outcomes you seek. Having recovered millions of dollars in total compensation for our plaintiff clients, our attorney is a member of the Million Dollar Advocates Forum, and we also maintain an active presence in many professional legal organizations, so you can expect to receive the most relevant, up-to-date advice and counsel regarding your matter. To find out more about how The Backer Law Firm can best serve your needs and help you obtain the justice you deserve, you can call our office or visit our website to receive a free initial consultation.